5 Bedroom / 3 Bath / 2001 sq. ft. This versatile 5-6 bedroom, 3 bath home is perfect for large families with a huge great room, island kitchen and lots of storage. 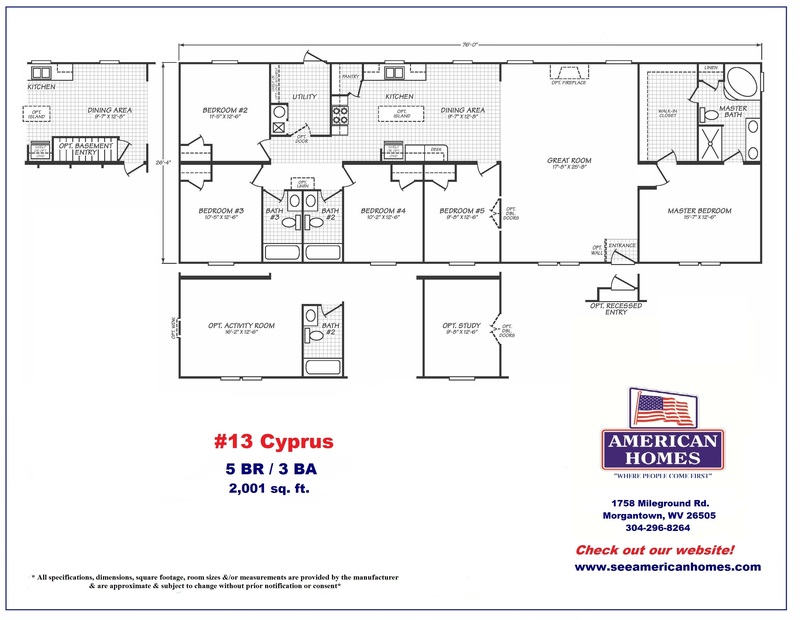 As with our other homes , we can build this home ”your way”… with 2 master suites, a mother-in-law suite, or perhaps with an optional activity room. The island kitchen, with attached dining area allows many hands to be in the kitchen at once. The walk-in pantry and utility room freezer space eliminate the need for weekly grocery store runs allowing you more time to relax in your glamorous corner bath tub. Any way you build this house, everyone has plenty of space!